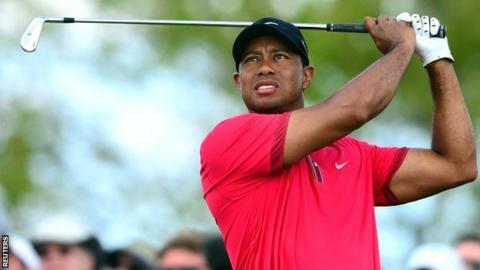 World number one Tiger Woods hopes to return to competition this summer but is more concerned about ensuring his long-term fitness, his agent has said. The American, 38, has not played since the WGC-Cadillac Championship in March and has since had surgery on a pinched nerve in his back. "I don't know when he will be playing but I expect it to be this summer," his representative, Mark Steinberg, said. "This is about the next 10 or 15 years, not about the next 10 weeks." Woods, who won the most recent of his 14 majors at the 2008 US Open, is highly unlikely to be fit for this year's event at Pinehurst in North Carolina, which starts on 12 June. The third major of the season is the Open Championship, which begins on 17 July at Hoylake. The Merseyside links venue is where Woods captured the the last of his three Claret Jugs in 2006. "He's doing a little bit more and more each day but this is not about targeting any specific tournament," said Steinberg. "If he needs to wait one or two or three extra weeks he will, he's thinking about this very, very long term."